I still don't fully understand how frames work in Tekken. A lot of people throw the frame rate, negative frames, etc. but I really don't get what they're saying. Anyone happen to know a basic explanation of how they work? Yeah, I think it's the amount of "pictures" it takes for your character to perform a move. Each frame changes a bit of your characters pose. The group of frames makes the move animation. So, for example, a 2 second move, would take 120 frames because 1second=60frames. Also, in tekken there's in-between move frames. These are frames in which it's impossible to give any command to your character. Example. : after attacking, after being stunned/attacked. Edit:04/08- Edited a bit so it's clearer. And added a bit of info. 60 fps is the desired rate for most games made currently, such as the call of duty games. 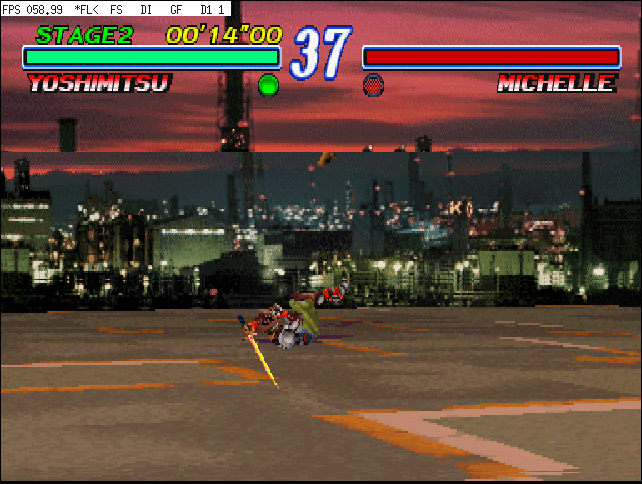 In that image, you can't even see michelle chang because the game is in the middle of transitioning from frames. (that help?) Also, in the upper left you can see the fps counter. I was running my customized tekken when i took these pictures thats why yoshi's sword is yellow and stages are... different. It does not effect the fps rate. 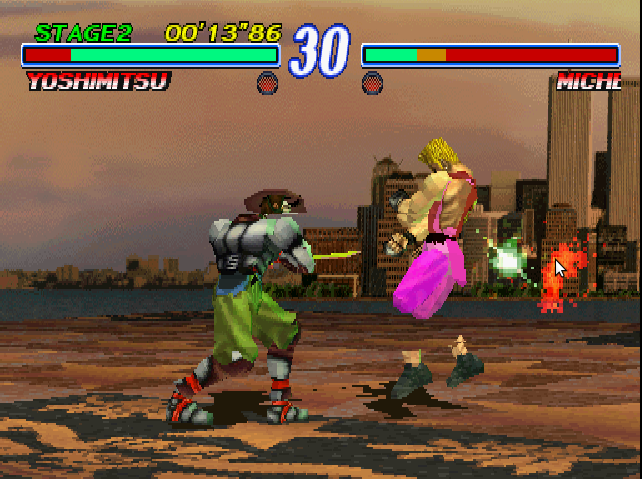 Pay close attention to pauls fists and yoshimitsu's head/sword. He is clearly being hit with a sword poke, yet his sword is not inside him(twss.) That is due to the frame having not changed yet. No fps counter in this one either. 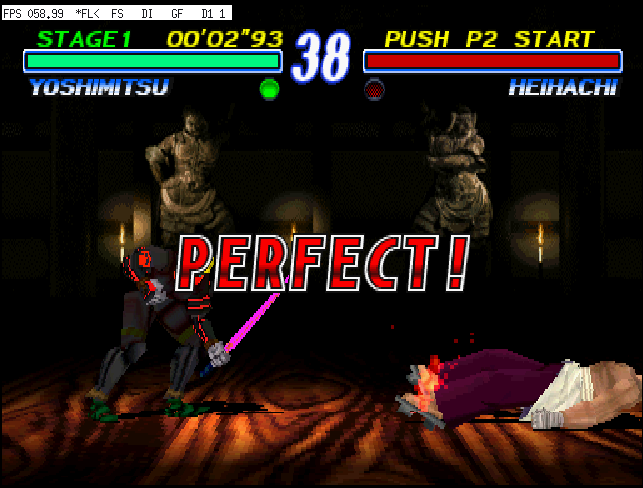 go to http://theyoshimitsu.webs.com/framedata for yoshimitsu tekken tag 2 frame data. its pretty much tekken 6 but with sum new but minor changes. so the fellas above talked about what frames are which are true. but when you use them in play, its a totally different situation because you wont be analysing each frame animation. rather, you'll use your knowledge of rame data to punish their mistakes. 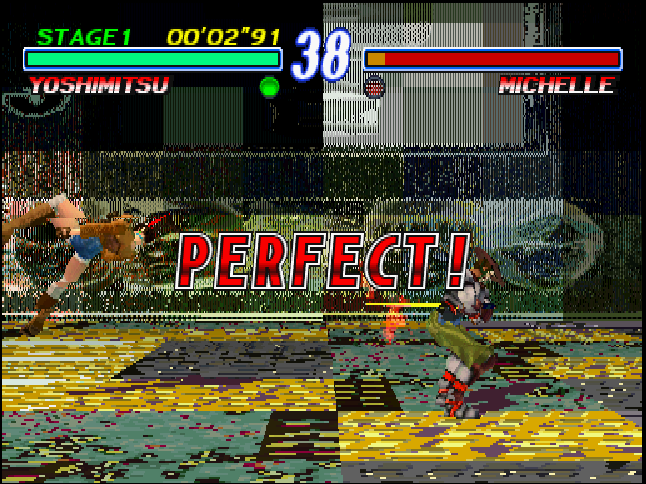 - when the opponent blocks this attack, you are at a disadvantage of -1 frames. 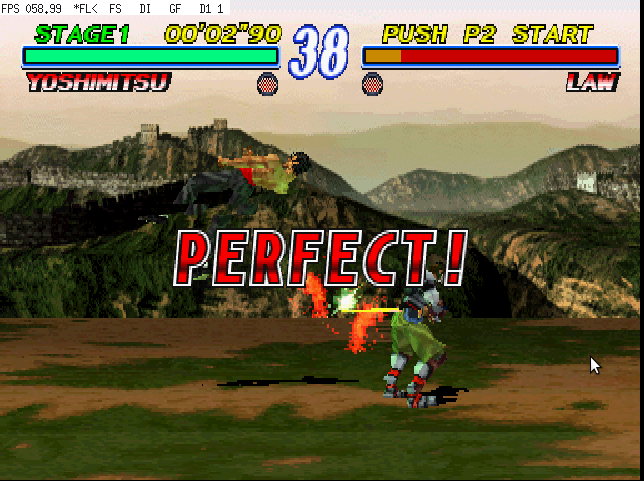 if your opponent has an attack that animates at 1 frame, then this move can be used to successfully hit you. but this is impossible since there is no move that fast! - when the opponent is hit by this attack, you are at an advantage of 5 frames. 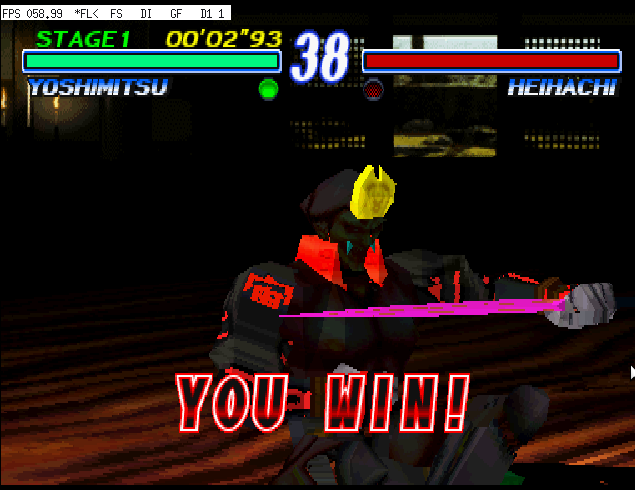 if after getting hit, you and your opponent try to do a 10 frame move, your opponent's attack will come out 5 frames SLOWER than yours, so in this case, you will land the next move. - when the opponent is hit on counter by this attack, you are at an advantage of 8 frames and so on. *any move generally with frames lower than -15 (eg. -16, -17, -18 etc) is considered UNSAFE! and is LAUNCH PUNISHABLE! hope it helps! know your own frames, and know your enemy's frames better!